Laptop keyboards are bad. iPad keyboards even worse. 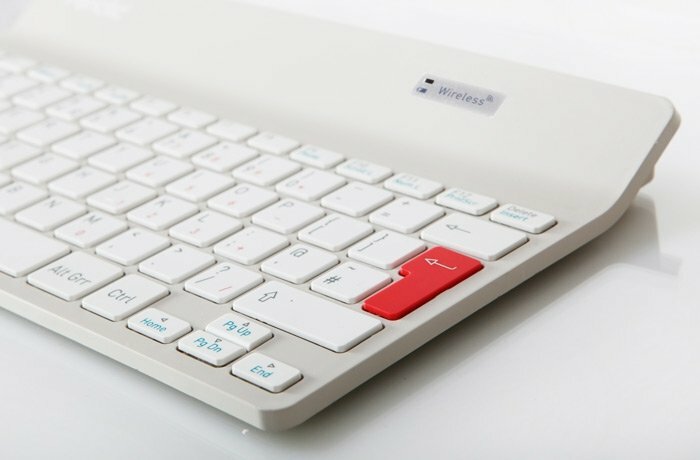 So there is a gap in the market for a lightweight, ergonomic wireless keyboard that business travellers can travel with if if they expect to be in either of two scenarios; doing a lot of computer work, or needing to do some precision typing while ravelling with only a phone. Sadly the Penclic K2 doesn’t help much with either scenario. It’s claimed that on average each office user exerts between 16-25 tonnes of pressure on their hands every day, with 15% of all work ergonomic work place injuries are due to Carpal Tunnel Syndrome. Cue the sleek design of Penclic’s ergonomic mini keyboard, which combines an optimal 5 mm profile to decreases strain on the wrists, which also serves to counteract and reduce RSI. Note that it doesn’t work with the iPad, or other tablets. That’s a shame, because surely that’s exactly the device that’s over-used and lacks a decent portable, ergonomic keyboard. There are plenty of wireless keyboards for tablets (such as the Logitech Ultrathin Keyboard Cover) and phones (try the ZAGG Pocket Keyboard), but they’re made more for travel convenience (i.e. small-ness), not comfort or ultimate type-ability. However, just as enticing for TravGear was its compact size and wireless design. Penclic is powered by two supplied AAA batteries, though rather oddly they recharge via a microUSB cable. No major problem there, except that the microUSB slot was, in our test sample, unreliable, with the LED light nearby randomly changing from flashing green to red. Despite its compatibility shortcomings, you might expect the Penclic to be something of a dream keyboard on the desktop. It’s not – in practice Penclic just didn’t work out well for us when tested with an Apple MacBook. Perhaps most frustratingly of all the Penclic relies on a proprietary Nano USB-receiver wireless link to rather than using Bluetooth, which depends on using a USB dongle (albeit a very tiny one). Like anyone has a free USB slot? Although the initial link was simple to make – even automatic – signal dropouts were common. Half-typed words and dead-zones within sentences were common. Having to adjust to Penclic from a dedicated Mac keyboard means reversing both the Alt and Apple keys, and the Control and Function commands. Not exactly difficult, but it’s an unwanted and unnecessary learning curve. While typing on the Penclic is reasonably accurate, with plenty of space between the keys, it proved tricky to adjust to after using the smaller Apple Wireless Keyboard. Typing gives a rather hollow rattling sound, too; so much for the so-called Quiet Touch keys. It’s small and lightweight, but the Penclic won’t be journeying around the world with TravGear – it may be half the price of the Apple Wireless Keyboard, but it’s also about half as good.